This barber chair is a combination of stylish look, feel, comfort andhigh quality leather. 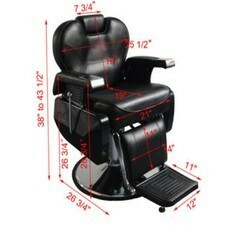 Totally based on metal frame, which is rust free.We are having a very huge range in barber chair, we offer acustomisation solution according to the requirement of our esteemedclients. Wooden structure padded with polyurethane resin upholstered with vinyl. Aluminium armrests. Made in Italy. 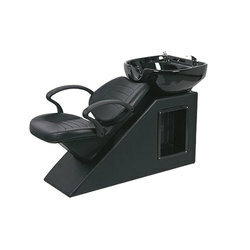 we have all type of salon furniture available in our show room, Chennai. All are No.1 quality furniture's. Our designer shampoo chairs are highly popular and are a perfect combination of shampoo sink and chair providing the essentials that are needed in the salons. These are ideal chairs for washing hair and ABS plastic sink attached is compatible to be fixed with water supply connection and is perfectly sized to mount on any wall.